Having visitors is great in more ways than one. It gets you out of the house and out into the city. And there's enough stuff in Mexico City to not be repeating yourself each time. 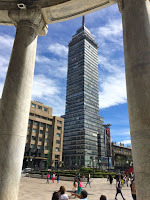 So today, I finally got to go up the Torre Latinoamericana, the somewhat dated, though still classic, skyscraper in the middle of town. 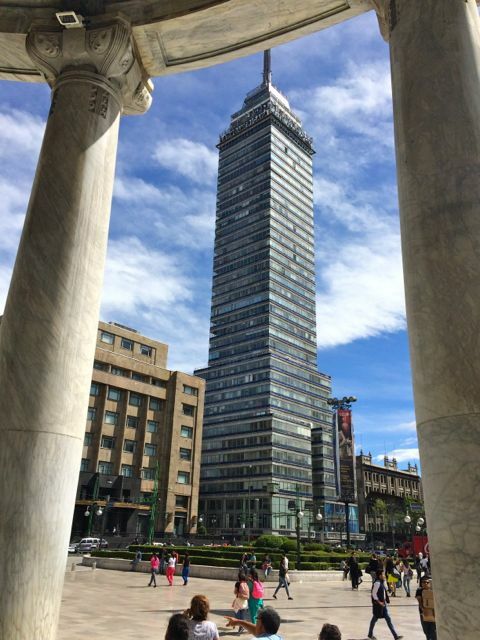 Built in 1956 it was, at 44 storeys, the tallest building in Mexico at the time. The view from the top is pretty amazing and there's a decent museum documenting its construction. Perhaps its most important attribute is that it was built on soft, seismic-prone foundations but survived the great 1985 Mexico City earthquake completely unscathed.